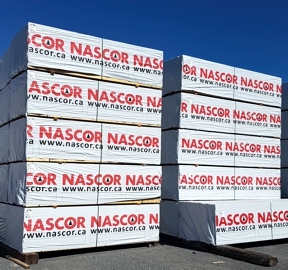 Nascor I-Joists are manufactured to meet or exceed the rigorous engineering and testing standards set by every major code approval agency in North America. All Nascor I-Joist products are unconditionally guaranteed to be free of manufacturing defects. Nascor guarantees that its I-Joist products, when installed and handled as per Nascor installation guidelines, will perform in accordance with the published structural specifications. In the unlikely event that a problem occurs due to a manufacturing defect, Nascor shall be given a reasonable opportunity to inspect the product on site. If this evaluation reveals a problem due to manufacturing defects, the situation shall be promptly corrected.